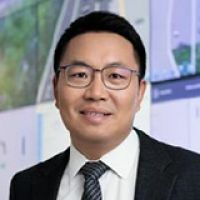 As the managing director of Huawei in the Shanghai region, AUT MBA alumnus Daniel Zhou is now responsible for an annual turnover of US$1.5 billion and manages over 400 employees across Huawei’s carrier, enterprise and consumer business groups. Daniel first joined Huawei after completing his AUT MBA in 2007, initially working at Huawei’s European office. During his eight years in Europe, he quickly advanced his career from account manager to managing director for the Czech Republic, Slovakia, Austria and Slovenia. Now living in China and working as the managing director for the Shanghai region, Daniel says he continues to enjoy working for Huawei. "I love working for a company with such a strong brand, good company vision and excellent team." Daniel first studied engineering, followed by a successful career in IT. In 2004, he decided it was time to upskill and enrolled an MBA at AUT. "I was planning my career in IT sales and marketing at that time, and wanted get some business knowledge in a practical environment. "I chose to do my MBA at AUT because it has a very good reputation in the business area. I also appreciated the flexible class times, which enabled me to work full-time while completing my MBA," says Daniel who was working as an IT systems support analyst at for the Manukau City Council during his studies. Daniel says he valued his time at AUT and still draws on what he learned during his MBA. "The three most important elements I gained from AUT, are cross-cultural communication skills, teamwork skills and problem-solving skills. All of these skills are very important for my day-to-day job." Make the most of your time at university, he advises other students. "Enjoy the time spent studying AUT, and treat it like a real business environment. Be disciplined and work hard."